Why have I developed COPD? What is the life expectancy for COPD patients? 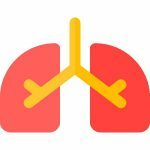 What is the difference between COPD and asthma? Can I claim compensation for COPD? How can I manage living with COPD? How many people suffer from COPD? What is the difference between acute and chronic bronchitis? Our mission is to provide up-to-date COPD information for patients and their relatives & carers. We are a not for profit website. Copyright © 2019 Diagnosis: COPD.